Get the connection you need with the style and performance you want. 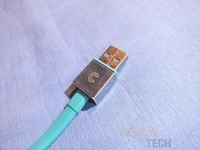 The Candywirez Micro USB Sync and Charge Cable lets you connect your Android phone, tablet or other device to a computer USB port or wall charger. 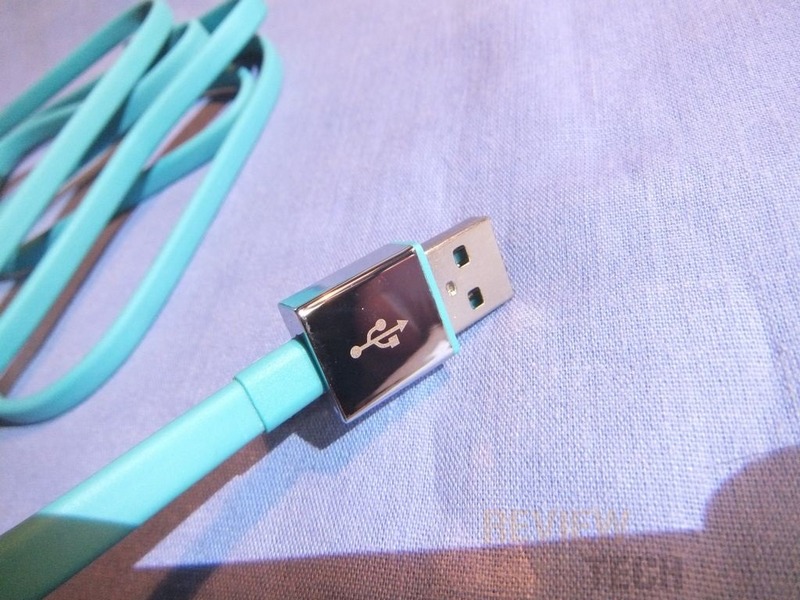 The long 5ft length makes it easy to plug in wherever you need to power up or transfer music, apps, and videos. Even better, the flat cable design resists tangles for easy storage while the durable coating stands up to daily use and abuse. We also know how important it is to express yourself, so we’ve fused a custom mix of bold colors, sleek finishes, and refined des ign that no one else can offer. With Candywirez you’ll have dependable performance and the freedom to show everyone your unique style and character. 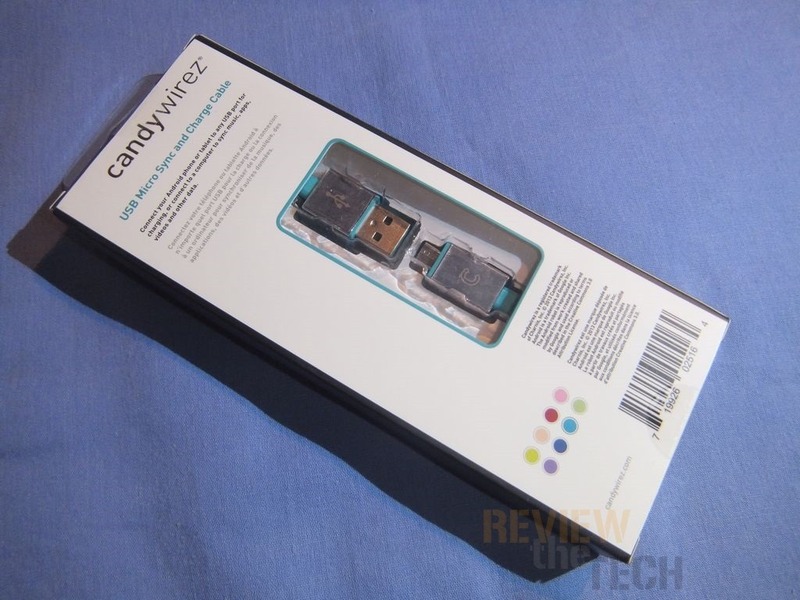 The Candywirez microUSB cable comes packaged in a nice looking box. The back of the box has a small widow showing you the connector ends. The cable comes coiled up attached to a plastic tray. 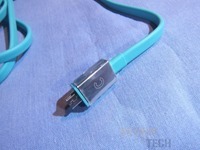 The connector ends are sort of embedded in the plastic to keep them from moving around during shipping. 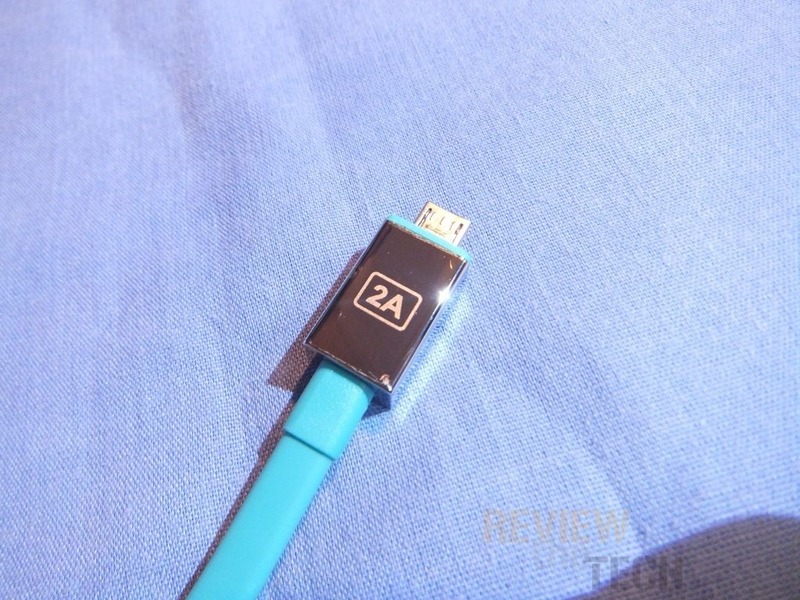 The cable is flat and made to be tangle free and has a protective coating on it. 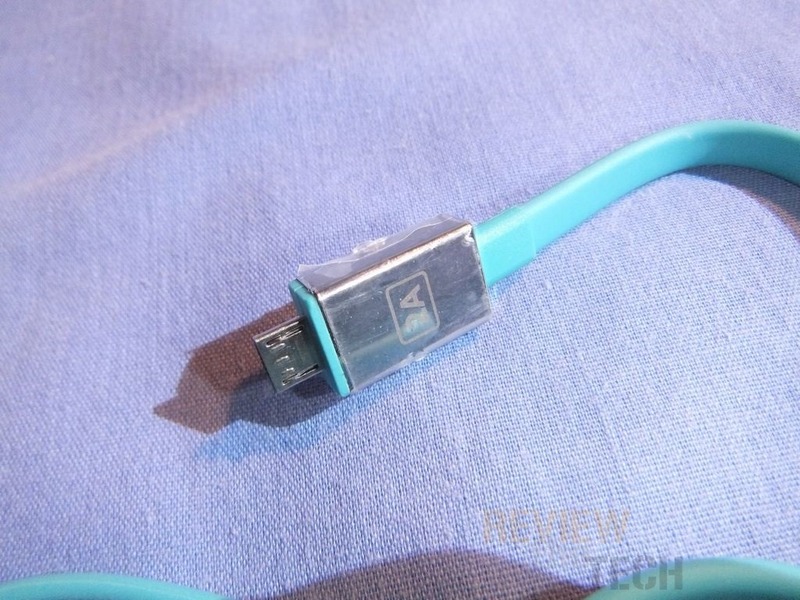 The cable is also thick and rather stiff, which isn’t a bad thing I think. The cable is 1.5m or about five feet long. The one I got for review is blue or Aqua in color but there are several other colors to choose from. 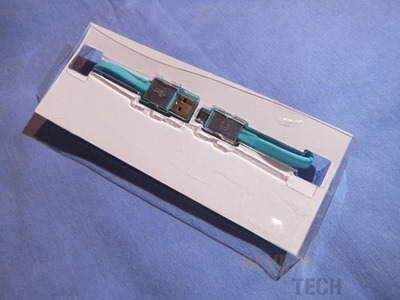 The connectors are a very shiny chromed metal and they do come with a plastic protective covering over them for shipping. 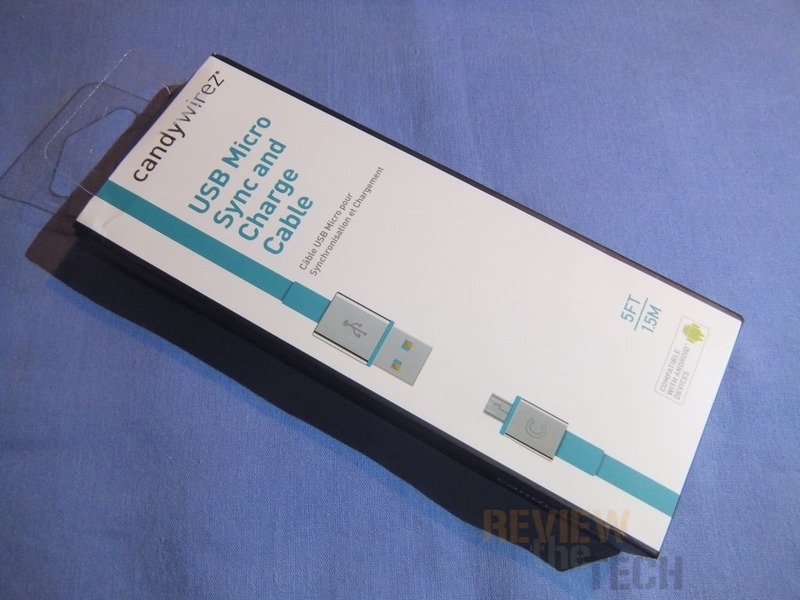 The standard USB connection has the USB logo on one side and the Candywirez logo on the other. The microUSB connection also has the Candywirez logo on it and the other side has 2A, which I’m guessing stand for 2 amps possibly. Here’s what they look like without the plastic covering on them, very shiny indeed! So it’s a charge and sync cable and that’s what I used it for with my HTC One and it worked just like the cable that came with phone. Nothing new and exciting about that right? I’m sure most people would think a USB cable is just rather boring but one like this isn’t really because it’s unique. At first I was thinking it’s just a USB cable but then I thought about it and I like it primarily because it’s colored and it doesn’t just blend in. I’ve got a bunch of cables floating around and I always have the microUSB cable for my phone hooked up to my computer and it’s kind of sitting there behind my monitors and mixed in with other cables. I always find I kind of have to dig around for it when I need it and I have to spend time figuring out which on is the correct one but having a colored on makes life much easier. 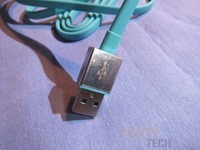 The cable is flat and rather thick and stiff making it tangle free and rather durable I think. 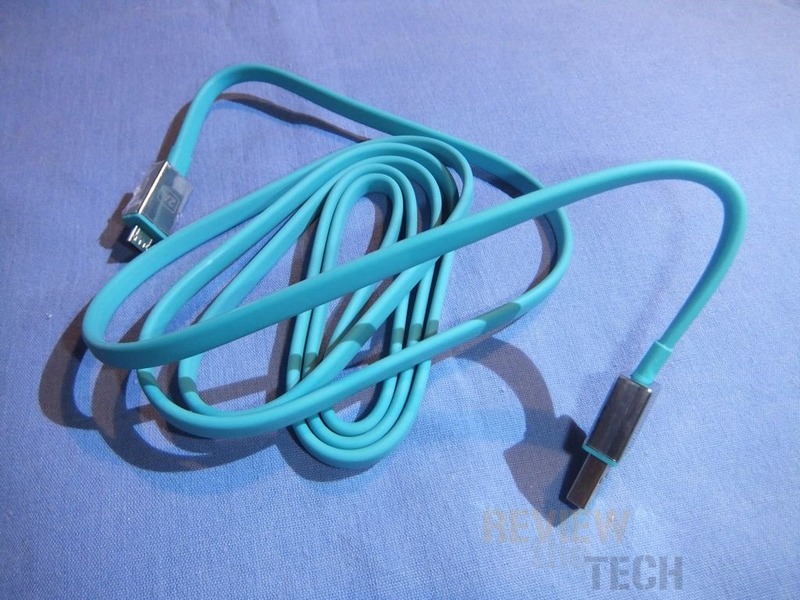 The connector ends are shiny and flashy and sure it’s not needed but it looks nice and having such a sturdy connection end can be a good thing in the long run. 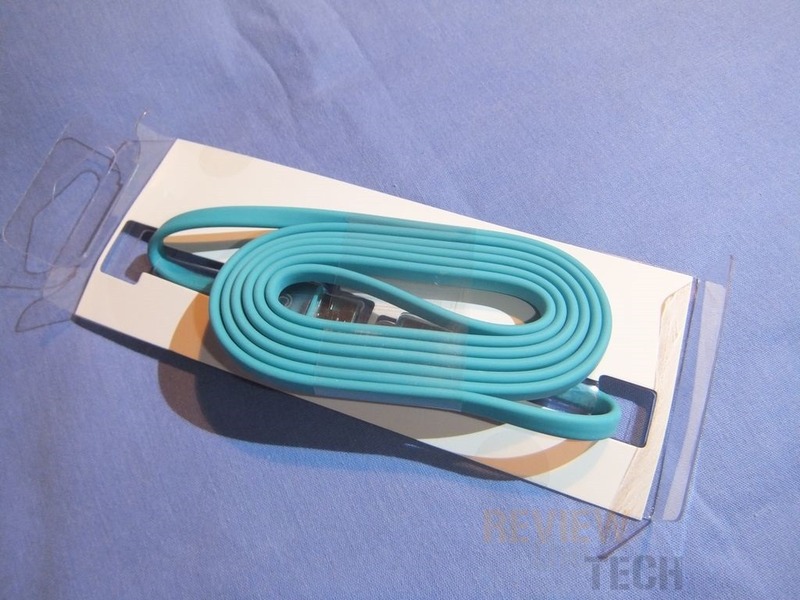 The cable is about five feet long and I like the length , it’s more than long enough to connect it to the back of your computer and have the cable running to where you need. Yes there are exceptions, but most people I think have their desktop computer fairly close to their keyboard and mouse etc. The price is $19.99 or $20 basically and yeah it might be considered expensive but it’s worth it in my opinion. Disclosure:This product was given to Review the Tech for review by the company for review purposes only, and is not considered by us as payment for the review, we do not, and never will, accept payment from companies to review their products. 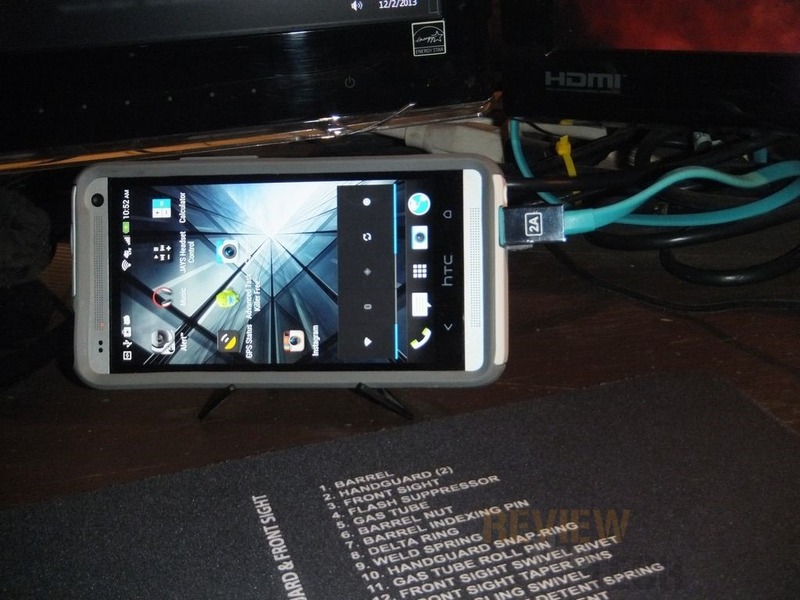 This product may have also been bought by us for review purposes and does not influence the review.